Christopher Swann is a graduate of Woodberry Forest School in Virginia. He earned a B.A. in English from Washington and Lee University, an M.A. in English and creative writing from the University of Missouri-Columbia, and a Ph.D. in creative writing from Georgia State University. He lives with his wife and two sons in Atlanta, where he is the English department chair at Holy Innocents' Episcopal School. 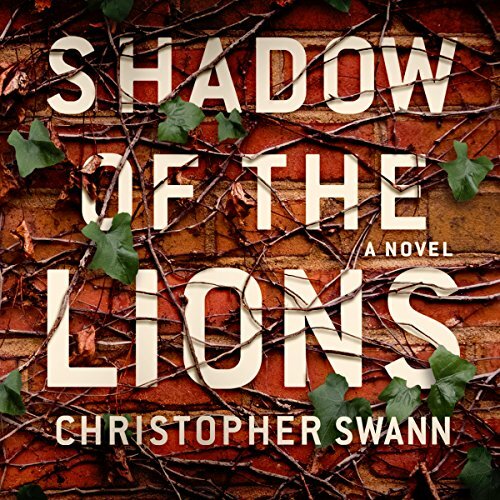 SHADOW OF THE LIONS, his debut novel, was a finalist for the 2018 Townsend Prize for Fiction, and Chris was a finalist for a Georgia Author of the Year award as well. SHADOW OF THE LIONS was also long listed for the 2018 Southern Book Prize and named one of Southern Living's Best Southern Books of the Year in 2017. Currently he is finishing his second novel and planning a third.